You are here: Home » quick and easy » Craft Lightning Features Day 4 — More quick and easy crafts for you! Craft Lightning Features Day 4 — More quick and easy crafts for you! One more day of Craft Lightning after these quick and easy craft features. Craft Lightning is all about crafts that can be completed in 15 minutes or less. Have you missed some of the fun? Check out the features from day 1, day 2, and day 3. If you want a chance to be featured tomorrow, be sure to link up your quick craft in our linky party. 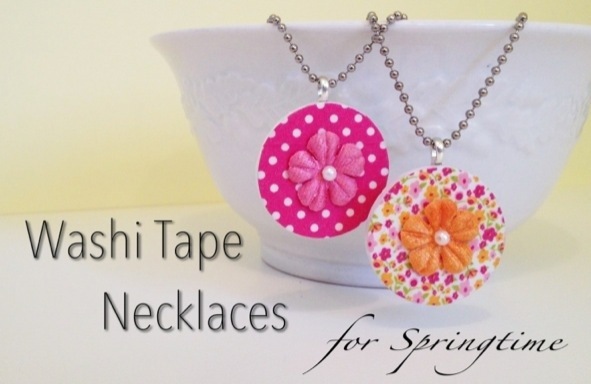 Today’s features start with Mrs. Greene and these adorable washi tape necklaces. This idea is brilliant! 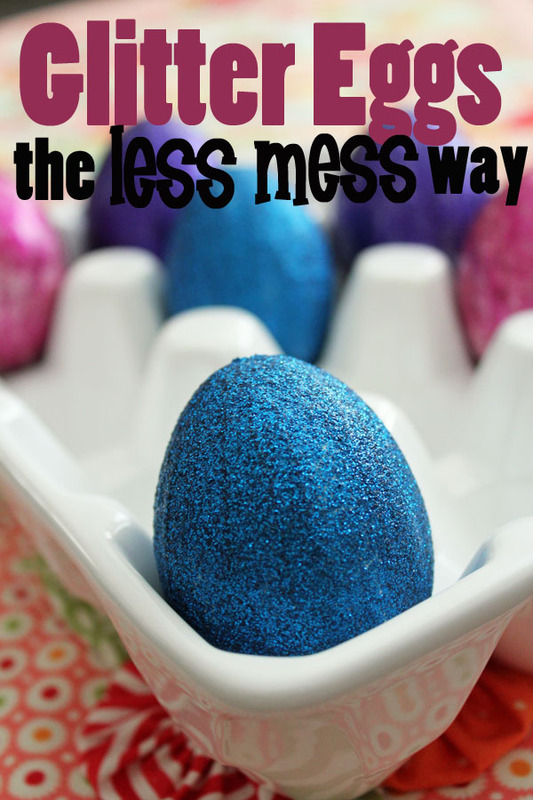 My partner for this series Carolina of 30 Minute Crafts came up with a great way to make glitter eggs (or anything else) without the mess. 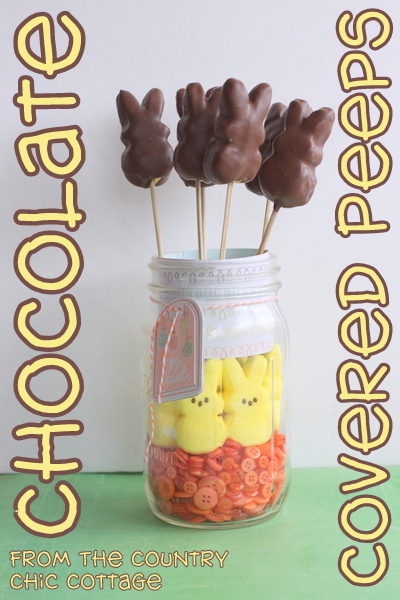 I posted some super easy chocolate covered peeps marshmallow pops. I have two linky party features today. 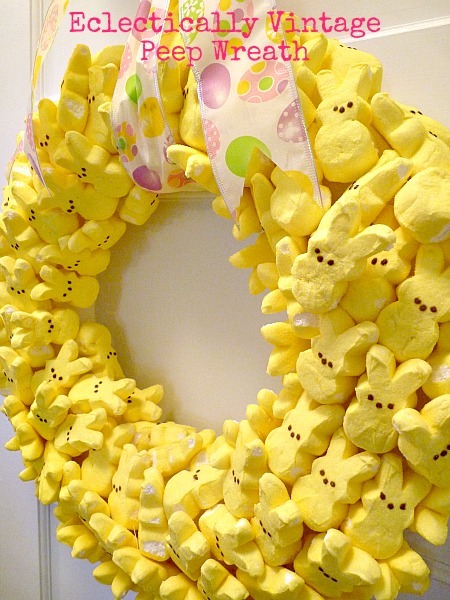 First up is this great peeps wreath from Eclectically Vintage. 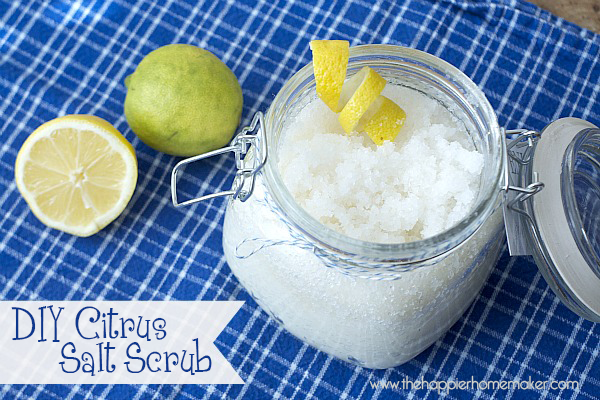 Finally we have The Happier Homemaker with a DIY citrus salt scrub that is a great quick gift idea. Stay tuned for even more quick and easy crafts tomorrow plus a Craft Lightning round up that you won’t want to miss on Saturday.